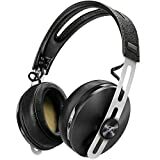 Sennheiser is a widely known company for making some of the top quality headphones and headsets out on the market. For years, they have been one of the leading companies that have provided audiophiles high quality earphones. The Sennheiser Momentum is no exception. Devised and developed with the audiophile in mind, not only is the aesthetics of a headphone designed so beautifully, it also packs the punch in providing quality precise and detailed sound listening experience to its users. With its new MOMENTUM trademark technology incorporated, it gives the user experience of a powerful bass, and clear, rich in detail audio. Featuring noise cancellation and improved battery life, it makes the Sennheiser Momentum your go-to headphones at anytime, anywhere. If you’re someone who’s passionate about peak performance, the Sennheiser Momentum is the perfect pair of headphones for you. The Sennheiser Momentum is a high end product made for customers. 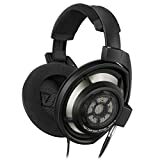 From our feedback, you can very well say developers worked hard to incorporate the technical innovations necessary in coming up with the best set of headphones yet. The new Momentum headphones provide detailed and crisp audio while cancelling out the unnecessary background. It features large diaphragms that enclose your ears comfortably, making listening to music a worthwhile experience. When it comes to aesthetics, the Momentum didn’t settle for less. It features stainless steel sliders, and luxurious leather that comes in the choice of ivory, brown, and black, covers the soft, ear cushions, making the Momentum a delight to wear. We have your quality and design covered. Sennheiser did not leave out portability when they built this product. The ear pieces are attached to quality, state-of-the-art ball joints that run smoothly in collapsible sliders made out of stainless steel. The Seinhesser Momentum comes with an integrated in-line remote that lets you have control over what you’re listening to. With this remote feature, you can control phone calls, music plays, and volume. Lastly, the Seinhesser Momentum provides flexibility. You can use this cable for your iOS devices such as the iPhone and iPod, or for Android phones and tablets as well. In summary, the Seinhesser Momentum is a really good pair of headphones to invest in. It provides good audio quality, comfort, portability, and an eye-pleasing design rolled into one product. It also comes packed with useful features such as noise cancellation and in-line remote control that makes it great for your day-to-day use. Although it is one of the headphones with a higher price range, it definitely lives up to its name and performance.